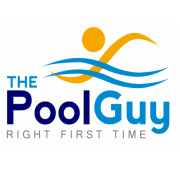 The Pool Guy is a dedicated and award winning pool company that is passionate about making the place where you swim, safe and secure. A place where you can relax and unwind and let the pool guy keep your pool in top shape. We have been serving Central Florida since 2003, cleaning pools, pressure washing, painting pool decks, screen repairs, and pool repairs. Each of our pool techs are Florida-state certified pool operators, so you and your pool are in safe hands. We always give you a professional service. We also specialize in green pool clean up for foreclosed houses where the pool sometimes has to be emptied of the old water acid washed than refilled . we are BBB accredited member the only one for fl32837. Special offers $25 off first month mention this ad.. and $25 for all referrals who take pool service.... Sign a one your contract and receive a free month - you pick which month.. I have been working in the pool industry for many years and unlike other pool companies in Hunters Creek and Kissimmee, I have a passion for health and safety and have brought this dedication and knowledge to my company. When someone calls on a pool company, there is an expectation on the level of service and when problems arise, normally the company only fixes the superficial issue. I take pride in being thorough and investigating all aspects of the pool and its equipment to bring a satisfactory conclusion to any problem. Furthermore, I would not want to swim in a dirty pool and I do not expect you to want that either. Therefore, I treat every pool cleaning with dedication and top quality pool cleaning service.